Construction Specifier's e-book on protecting against water intrusion is a must read for industry professionals. With Hurricane Michael having just left the Florida Panhandle a wet mess — pummeling the built environment and everything in its path with wind and rain — it seems timely to mention a valuable e-book that Construction Specifier has published on water intrusion. The primer — Protecting Against Water Intrusion— is part of the publication’s “Best of Series” and features four sections. The first outlines the seven “Ps” for successful rainscreen design and execution. Those “Ps” would be: product selection; penetration in the air vapor barrier; perimeters; parapets; pre-installation preparation and testing; positive drainage and of course… performance. In the next section — “Put Penetrations to the Test” – two architects discuss the effect of cladding attachments on air and water barriers. They note that building enclosure design involves balancing the demands of air and water protection with the thermal requirements. 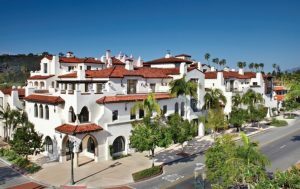 Chapala One luxury condominiums in Santa Barbara, CA needed a reliable waterproof enclosure to eliminate water intrusion on both vertical and horizontal surfaces. They conclude that available guidelines for detailing and testing the installed AWB with the cladding attachments can be scarce, and installation practices are not consistent from project to project. They argue for a need to develop installation methods that will provide durable and resilient solutions, as well as consensus on test standards to validate the air and water tightness. The third section — “There’s More Than One Way to Skin a Building” — offers practical considerations for combining face-and concealed-barrier walls. It presents design concepts for incorporating face-barrier elements into primarily concealed air and water barrier systems, as well as noting some of the construction challenges characteristic of these combination façade systems. Liberty High School in Renton, Washington installed a high-build vapor barrier to minimize the risk of water damage. The title of the final white paper — “The Perils of Moisture” – echoes a truism that comes as no surprise to professionals in the built environment: moisture intrusion can be nasty and costly. The piece provides a thorough overview of how air barriers can prevent moisture intrusion. Authored by Karine Galla, a product manager at Sto Corp. who has over 16 years of experience in the EIFS, stucco and AMB business, the article advocates for an impermeable air barrier system, applied continuously throughout the exterior of a building structure. Architects are looking at resilient design concepts and materials to mitigate the flooding and wind damage caused by extreme weather events. As Hurricane Lane hurdles its way toward Hawaii packing Category 4 winds, the second-part of our series on resilient design is quite timely. Sea-level rise and catastrophic storms have clearly had serious consequences for our coastal areas and islands and will continue to do so. The cost estimates for hurricane damage in the U.S. continue to rise; they are now hovering at about $300 billion in the U.S. alone, based on last year’s three major storms. In addition to the many scientists, previously mentioned, who are focused on structural solutions to ensure more resilient design, many design professionals are also addressing these issues. At a recent A+AIA-Architect forum, a group of award-winning architects shared insights into mitigating risk at waterfront properties and strategies for designing for a resilient future. Wanda Lau, editor of tech, practice, and products for ARCHITECT conducted the panel session with Lance J. Brown, co-chair of AIANY’s Design for Risk and Reconstruction committee; Jeremy Alain Siegel, associate and senior designer at BIG; Eric Fang, AIA, principal at Perkins Eastman; and Claire Weisz, FAIA, principal-in-charge at WXY Studio. Treacherous coastal storm waters, flooding and water damage are as serious as the impact of wind in an extreme storm. To help us better understand the nuances of designing and constructing flood-resistant buildings and infrastructure, the New York Times offered this handy guide and glossary of terms. 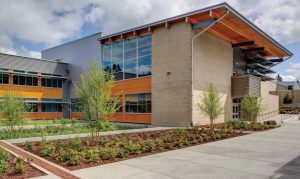 We have little control over the increasing pattern of extreme weather events, but clearly professionals in our industry can make a difference by utilizing resilient design concepts and materials in new construction as well as restoration. As the frequency of severe weather events escalates, resilient design solutions need to be found to safeguard people and the economy. With the recent devastation of Hurricane Irma, clearly coastal cities are increasingly exposed to the risk of flooding. It isn’t just about hurricane winds, flooding and rising tides however. Resilient design must also address the shelter-in-place realities of tornadoes, blizzards, and heat waves. We are going to address all of these in our current blog series. From Hurricane Katrina in 2005 to Hurricane Sandy in 2012 to Hurricane Irma this year, coastal cities are increasingly exposed to the risk of flooding and rising coastal tides. 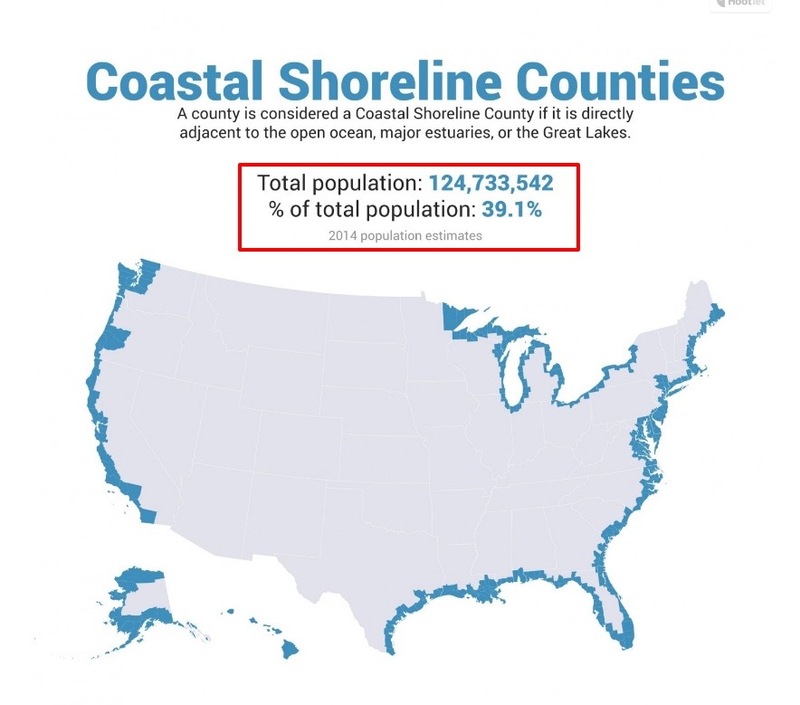 With sea levels rising in almost every coastal area in America, even without an epic storm like Irma, large percentages of urban coastal areas face the threat of flooding. Living with water seems to be a new reality and the risks facing coastal cities must be addressed with resilient design. While current flooding strategies exist in many coastal areas, most do not thoroughly address future challenges. The resiliency of coastal cities relies on architects and engineers and city planners rethinking how they design cities but also the multitude of individual spaces that comprise the urban environment. Extreme weather heavily impacts our infrastructure and real property, creating unique issues for developers and owners. Should traditional mixed-use buildings by redesigned to move restaurants and retail to higher floors? What impact does that have on consumers and what do the street-level spaces become? If you build high enough in a flood zone, the building and its occupants may be safe, but the building will be inaccessible in flooded conditions. Climate resilient strategies include wet-flooding (letting buildings flood without damaging major equipment or the structure and continuing operation even without power) and dry-flooding (keeping the water out with tight envelopes). Wet flooding requires materials that are capable of being submerged in water for 72 hours. So how long can a material be submerged without compromising its integrity? Can biomimicry be used to develop flood resistant materials? Are today’s water resistant products also resistant to submergence? There are no simple answers to these challenges. Both proactive and adaptive strategies should be examined for the future of our built environment. Rather than wait for disaster, many coastal communities are tackling the issue of resilient design. In the San Francisco Bay Area, the Resilient by Design Challenge is asking residents, community leaders and organizations to submit ideas that will shape a collaborative research process where design experts work with community experts. The idea is to develop new, creative and implementable design solutions that will protect the Bay Area’s most vulnerable shoreline communities from increasingly severe storms and flooding — while also addressing critical issues such as disparities in housing, income and access to open space. The Venice Environmental Studies Program at Boston University is exploring these questions as well looking at how scientists and policy makers in the famous Floating City are collaborating to develop mutually beneficial solutions to protect against sea level rise. For instance, could a sea gate such as Venice’s flood barrier system Modulo Sperimental Elettromeccanico (MOSE) be built in Boston and how would it change that city’s architectural vernacular? Because climate is no longer predictable, design professionals need to explore and consider an entirely new set of factors. Ignoring the reality of new and extreme climate variables could mean that the huge investments made in city infrastructure and buildings lose value over time. More on resilient design next week!